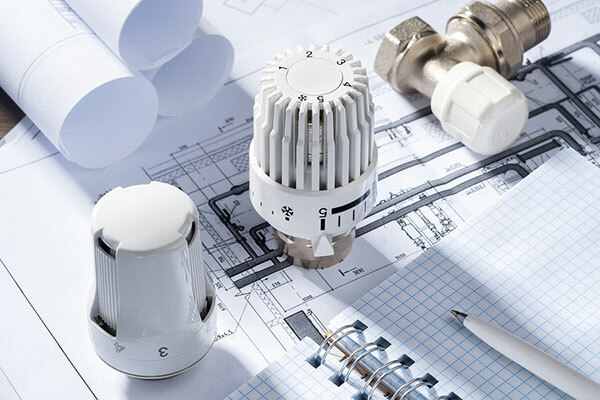 Saudi Arabia’s thermostats, valves & actuators and damper actuators market is set to grow at a compound annual growth rate (CAGR) of 2.8 per cent during 2018-24, said a report from6Wreseaerch, a global market research and consulting firm. Saudi Arabia government is taking initiatives towards restructuring the country's non-oil economy by investing in commercial and industrial sectors of the country, added the report titled "Saudi Arabia Thermostats, Valves & Actuators and Damper Actuators Market (2014-2024)". Moreover, the country's development plan such as Saudi vision 2030 would be an add on for the commencement of new projects in health sector, education, public services, building infrastructure, tourism, etc. As a result, the commercial and industrial sectors of the country are expected to register healthy growth rates during the forecast period, thereby, creating the demand for products such as thermostats, valves & actuators and damper actuators. With several upcoming hotels, economical city, healthcare centres, and entertainment cities, Saudi Arabia commercial sector is set to witness a substantial growth which would consequentially help thermostats, valves & actuators and damper actuators market to grow further. Additionally, growing acceptance of HVAC products in the industrial and commercial sectors for cooling and heating and fluid flow regulation processes would fuel market to attain a substantial growth over the coming years. Ravi Bhandari, assistant manager, Research and Consulting, 6Wresearch, said: "Thermostats market is expected to receive the highest growth rate in the country. Growing trend of smart buildings and consumer's inclination towards modern technologies such as building management systems would act as a major driver for the growth of thermostats market. “Additionally, the government of Saudi Arabia is further taking initiatives for building more number of energy efficient structures in various government and non-government building premises. As a result, thermostats are getting deployed in various social infrastructures, mosques, public facilities and government buildings, which would reduce the energy cost and drive the thermostats market in the country." “The major demand for valves & actuators was registered from water and wastewater treatment industry and HVAC industry. In water treatment industries the valves are required to control the flow and pressure of fluids, whereas in HVAC industry the valves & actuators are majorly deployed in the chiller systems for regulating the temperature inside the building premises. "Anticipated growth in HVAC market of the country along with the expected recovery of construction sector, the demand for damper actuators would also receive a boost during the forecast period," Sharma added.